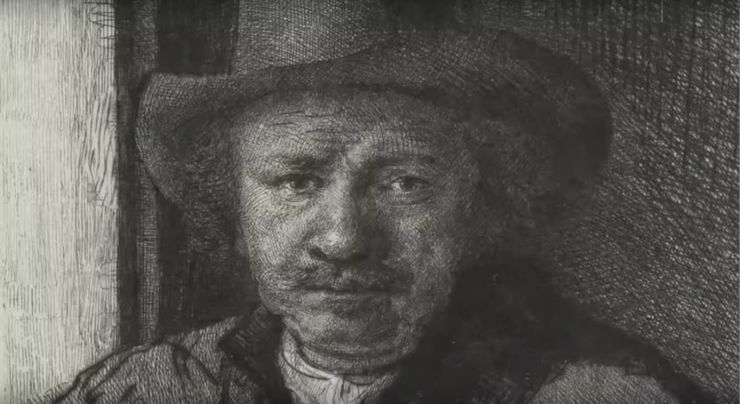 A documentary series focusing on great masterpieces of engraving, from its beginnings to the present day. The idea for the series came about from a meeting between Gallix directors and Maxime Préaud, chief curator of the prints and photography department at the French National Library in Paris. Every Wednesday, he opens the doors of the Rare Manuscript department to artists wishing to consult masterpieces from the past. Seated at a reading desk, they can examine the works of Dürer, Callot, Rembrandt, Goya, Hokusai, Picasso and many others through a magnifying glass. The quality of today's HD technology has now opened this fascinating world to everyone. Lenses can reveal hitherto hidden aspects of a work; the beauty of a line, the depth of a cut or the grain of the paper. Each film focuses on a major work by the chosen artist: Dürer's The Knight, Death and the Devil, Callot'sTemptation of St.Anthony, Mellan's The Holy Face, Piranesi's Prisons, Rembrandt’s drypoint etching The Three Crosses. The scripts are all different, but the series follows a regular pattern. A short introductory sequence uses an actor’s voice-over to bring the artist alive. A penetrating focus on the quintessential details of the chosen print directly acquaints the viewer with the creative process; techniques are explained and demonstrated by experts in the field. There is input from a contemporary engraver whose work is intimately linked to the artist in question. In the final sequence, the work is shown without commentary. By now the viewer's own insight makes it superfluous.